ZMA is a Russian car maker located in Naberezhnye Chelny, Republic of Tatarstan. 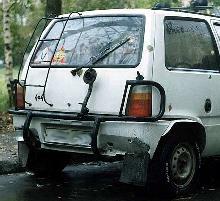 It produces Oka micro-car under VAZ license. Most of the stock was owned by KamAZ, until March 2005 when SeverstalAvto bought the factory.